FOREVER 21 PLUS TOP SHIRT OFF SHOULDER SUMMER NWT. Condition is New with tags. Shipped with USPS First Class Package. LILLY PULITZER Off Shoulder Top Size Large. I believe this pattern is Bird of Paradise however I'm not certain. If you look close you can see a Parrot in the print. 100% Authentic. 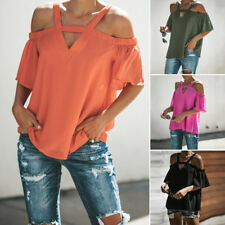 Lovely layered off shoulder/one sleeve top from Yummy Plus under the label Love JANE! 4X 54" / 137cm 58" / 147cm 65" / 165cm 34" / 86cm. Generous Regular Plus Size Fit; Longish tunic length. 3X 51" / 129cm 55" / 139cm 62" / 157cm 33" / 83cm. 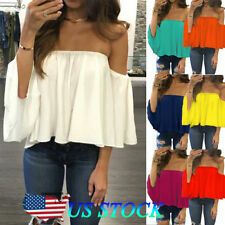 US STOCK,Free Shipping,Womens Cold Off Shoulder Tops!!! Lovely layered off shoulder/one sleeve top from Yummy Plus under the label Love JANE! 5X 57" / 144cm 61" / 155cm 68" / 172cm 34" / 86cm. Generous Regular Plus Size Fit; Longish tunic length. 4X 54" / 137cm 58" / 147cm 65" / 165cm 34" / 86cm. Lovely layered off shoulder/one sleeve top from Yummy Plus under the label Love JANE! 2X 48" / 122cm 52" / 132cm 59" / 150cm 32" / 81cm. Generous Regular Plus Size Fit; Longish tunic length. 4X 54" / 137cm 58" / 147cm 65" / 165cm 34" / 86cm. Lovely layered off shoulder/one sleeve top from Yummy Plus under the label Love JANE! 3X 51" / 129cm 55" / 139cm 62" / 157cm 33" / 83cm. Generous Regular Plus Size Fit; Longish tunic length. 4X 54" / 137cm 58" / 147cm 65" / 165cm 34" / 86cm. Color : Pink. Color of the real item may be a little bit different due to factors such as lighting / monitor resolution etc. Color of the real item may be a little bit different due to factors such as lighting / monitor resolution etc. 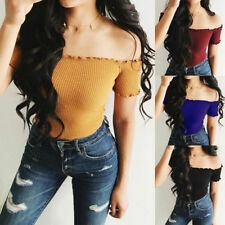 womens off shoulder top xl. Condition is Pre-owned. Shipped with USPS First Class Package.